Can the Soda Fuzz Control the Fizz? Now that we’ve covered the fundamentals of vegetarian diets and discussed the small print behind those news articles making snap claims about vegetarians being healthier, we can jump over the fence and explore why the grass isn’t always greener in the grass-only pasture. 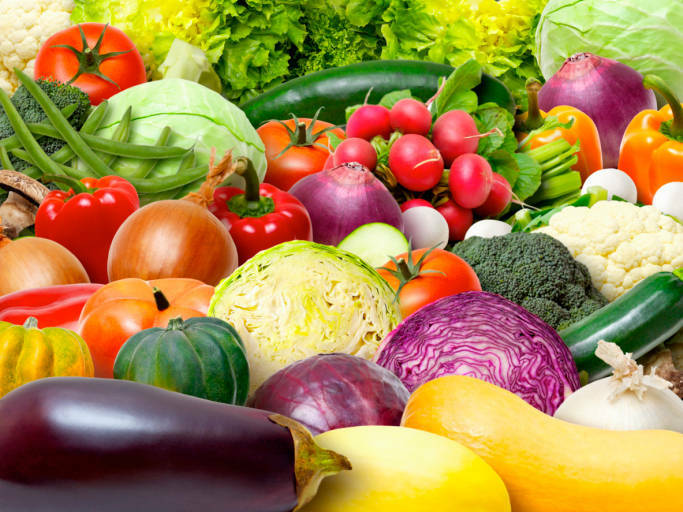 Research into vegetarian diets has not shown adverse health effects; but a recent meta-analysis (combination and analysis of independent studies) presented the danger of monotonous and restrictive vegetarian diets. Results showed restrictive vegetarian and vegan diets often lead to nutrient deficiencies that are damaging to overall health. Before we untangle the web of nutrients herbivorous human pie holes often miss out on, we need to decipher the concept of ‘bioavailability’. As simply put as possible, bioavailablity is the extent to which vitamins and minerals in food are absorbed and used for normal function in the body. If a vitamin or mineral in a certain food is highly bioavailable, it means the body can easily extract and use it. The opposite is true for low or poor bioavailability foods. 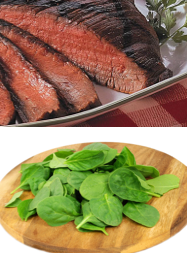 Spinach, for example, has a similar iron content per 100g to lean beef, but the iron in spinach is much less bioavailable. Think of your car, just because the marketing department says it can get 45 miles per gallon, doesn’t mean you’ll achieve this theoretical maximum in reality. So let’s get into the meaty heart of this topic. Since vegetarian diets restrict animal products, it makes sense that vitamins and minerals abundant in these foods are consumed less. 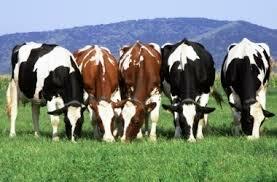 Protein, iron, calcium, zinc and vitamin B12 are the common ones. Protein is not stored in the body. Muscles are constantly turning over and rebuilding, therefore eating protein daily is vital. Protein is needed for muscle, bone and skin maintenance. The best sources are dairy, eggs and meat. Non-animal products like beans, legumes, nuts, seeds and tofu also contain protein. Eating a wide variety of these foods ensures protein requirements are met. Iron is essential for carrying oxygen around body. The best sources are listed in Table 1. Iron from meat products (called haem iron) is highly bioavailable. Plant sources of iron (called non-haem iron) on the other hand, have poor bioavailability. All is not lost for non-haem iron because cooking these plant sources can increase bioavailability. For example, the human body can absorb about 6% of iron from raw broccoli compared with 30% in cooked broccoli. If iron was like Las Vegas: eating raw broccoli is blackjack, cooked broccoli is bingo, and red meat is the ATM. 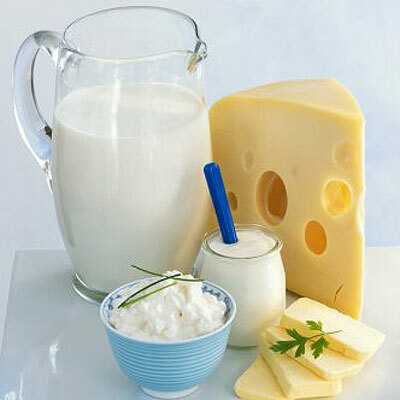 The mineral calcium is critical for maintaining strong bones and teeth, as well as assisting in muscle contractions. The best sources are milk, cheese, yoghurt and canned fish with soft bones like sardines or salmon. Other sources include dark green leafy vegetables, almonds, beans and fortified cereals: however, similar to iron, calcium from animal products is much more bioavailable than calcium from plant products. Zinc plays an important role in the immune system, cell division and wound healing. 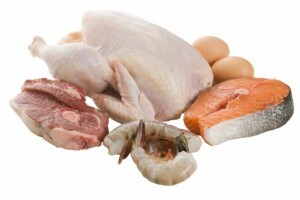 High protein foods also contain high amounts of zinc, with meat and fish being the best sources. Lower amounts are found in legumes and whole grains. Plant sources of zinc from fruits and vegetables are not good sources because zinc in plant proteins has poor bioavailability. Vitamin B12 is needed for red blood cell production and maintenance of the central nervous system. Animal products: eggs, beef, poultry, shellfish and milk are the best sources of B12. Non-animal sources of B12 are not reliable as they vary in amounts and are poorly absorbed by the body. Eating fortified food products for supplementation are recommended eg: fortified breakfast cereals. Diets described by national guidelines that are high in fruit and vegetables, and low in refined sugar, saturated fat, processed meats and salt, help reduce risks of chronic disease like type two diabetes and heart disease. Hopefully these articles have shed some light on the small print behind claims that herbivory is supreme to omnivory. Vegetarianism may sustain a cow, but they have four stomach compartments to digest and break down food that is chewed and re-chewed in their pie hole all day. And if you are reading this, your pie hole can't do that because you are not a cow. Unless you’ve been living under a rock for the last 10 years, you’ve probably read a headline or two endorsing vegetarian diets. Alarmist headlines claiming ‘meat will put you in an early grave’, ‘beef is a silent killer’ or ‘vegetarians live longer’ are pretty common. Ever wondered about the science and small print behind these articles? Well, strap yourself in for a ‘meat’-eoric ride on the gravy train express to Meat Town… I’ll meat ya there. There are several kinds of vegetarian diets. Some allow dairy (lacto vegetarian), while others allow both eggs and dairy (lacto-ovo vegetarian), where others allow fish (pesco vegetarian) in addition to plant products. Then there is the extreme vegan diet that excludes all meat and animal products. The more restrictive the diet, the more likely it is your pie hole is missing out on key nutrients. See part II of ‘Ice Cream and Potato Chips are Vegetarian too'. Why do news articles so often sermonize the benefits of vegetarian diets? Well typically, it’s because vegetarians are reported to have lower blood pressure and cholesterol than their carnivorous counterparts. Why is that? 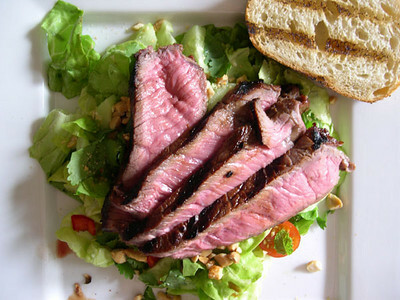 Meat, particularly red meat, is high in saturated fat, calories and salt. These are the drivers of high blood pressure and cholesterol, which can increase risk of heart disease, heart attacks, being overweight and ultimately, well… death. No meat equals less saturated fat and salt. Now, you need a new source of protein. Whether it’s beans and legumes, tofu or other plant sources, the result is you’re eating more fibre, fewer calories as well as the aforementioned fat and salt. Now that’s all well and good, but what about all the other foods that are vegetarian, or manufactured for vegetarians, that are still ‘bad’ for overall health? Ice cream, chips, fries, crackers, cakes, cookies, pastries etc. Basically, being vegetarian doesn’t mean you’re healthy. In fact, a poorly planned vegetarian diet can lead to all sorts of gaps in your nutrition whether you’re slim and trim or not (see part II). The Australian Guide to Health Eating recommend 2.5-3 serves of meat/fish/tofu/legumes per day (see Figure 1), and the US recommends 5-6 ounces (155g) per day. Eating the recommended 65g piece of beef, lamb, kangaroo or whatever, isn’t going to give you heart disease. It’s eating that 250g porterhouse steak that might. So in the end, the decision to become, or remain, vegetarian could be ethically or religiously driven; but it shouldn’t be ‘to get healthy’. If you love meat, don’t give it up. That would be like never watching TV, for fear of being forced to watch an hour of Glee. Food is, and should be, an enjoyable and delicious part of every day; meat in moderation in your pie hole is the main moral of this story. Part II of 'Ice Cream and Potato Chips are Vegetarian Too' will be available next week. Part II will discuss which nutrients are most often missed in vegetarian diets and why. Multivitamins and supplements for children and adults: they’re gummy, flavoured and colourfully packed gems that cost you about $20 per month, that’s $240 a year. For some, like me, they are the bane of existence. Interested? You should be! Join me, as we explore the science behind fleecing your pocketbook with colourful candy-coated promises. Multivitamin ads say things like, “you’re missing out”, but on what exactly? Taking multivitamins gives you something.... I like to call it ‘expensive urine’. Your body can only absorb so much when it comes to vitamins and minerals; much of the rest is destined for, well, your toilet bowl. Eating a diet of fast and/or processed food will likely leave you below your recommended vitamin and mineral intake; but taking a multivitamin doesn’t make up for it. It’s the same as someone who only eats McDonalds saying they are going on a two-week ‘cleanse’. The notion of undoing a years’ worth of poor eating in two weeks is fantasy. Are you dead without it? Recent studies suggest the excessive dose of vitamins and minerals present in supplements can even have adverse health effects. One study found that men taking vitamin C pills (usually 1000mg per tablet) were twice as likely to develop kidney stones as men who didn’t take any supplements at all. When you consider how high a 1000mg dose is compared to the recommended values (see below), it’s no surprise there are side effects. After all, your kidneys are the organs tasked with filtering out this huge excess. Now that’s a real pisser. Recommended vitamin C intake varies between countries, for adults in Australia and the US it’s between 45mg and 90mg per day. For reference, a medium orange contains 70mg of vitamin C and half a cup (one serve) of cooked broccoli contains 50mg. Let’s not forget that when you eat the actual food, there are other vitamins and minerals in there too, not to mention fibre. Recent investigations into calcium supplements have demonstrated their link to increases in heart attacks. The interesting part was that heart attacks were associated only with calcium from supplements, not an increase in calcium from food. As pretty as that shiny calcium pill is, you might be better off putting a glass of cow juice in your pie hole. The scary part is that over half of US adults use supplements. Conventional wisdom would expect multivitamin poppers to take these pills to fill gaps in their nutrition from food, right? Wrong! 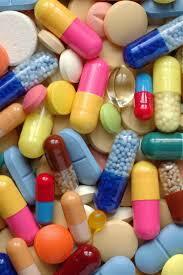 The study found users believed the pills would improve their ‘overall health’. Additionally, less than one quarter of these supplements were actually recommended by health care professionals. I guess there is a sucker born every minute. To add yet more insult to injury, over 20 other studies show multivitamin treatments had no effect whatsoever on risk of death. 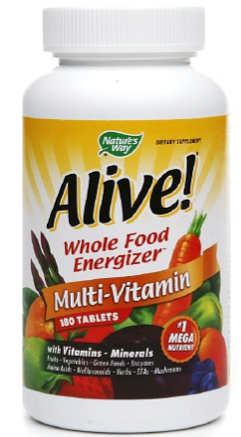 The only ‘overall health’ these foolish mortals improve is the healthy bottom line of multivitamin manufacturers. After we’ve explored the lack of evidence supporting the use of these pills, let’s talk about marketing. I personally think it’s unethical for multivitamin manufacturers to sell their products on the premise that you or your children need it. Especially when we’ve just discussed the multitude of evidence indicating otherwise. Multivitamin ads for kids often use guilt to manipulate parents into thinking they must buy the product if they care about their children’s nutrition and wellbeing. Heck, when I see those ads, I’m infuriated because the guilt almost works on me. 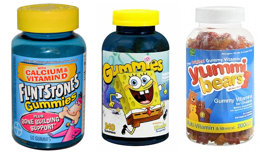 I also take issue with kid’s vitamins looking like lollies/candies. This doesn’t set a good precedent; medications, even of the quack variety, are not gummy bears. Pretty soon they’ll sell you multivitamin ice cream to wash down your vitamin water. Finally, I would like to end on an anecdote from a lecturer at UCLA, whose class inspired me to pursue education and a career in dietetics: If your car has a flat tyre, (or “tire” if you’re American) do you take it in and replace all four tyres, changes the hoses, replace the brake pads, get it painted, have it waxed, buffed and polished? Or do you just replace the one damaged tyre? If medical tests show your vitamin D or iron is low, your doctor will recommend that specific supplement… you don’t need a multivitamin, you just need to replace that one tyre. Save that $20 a month and buy some fresh produce to put in your pie hole. Won’t Someone Think of the Illiterate Shopper? A Californian woman is suing Nestle, the company who makes California Pizza Kitchen (CPK) frozen pizzas. Why? Because they contain trans fat, a piece of information displayed on the back of the box. Many states in the US have, in recent years, proposed or enacted bans on trans fat. Californian restaurants and bakeries are prohibited from using trans fats. CPK is a restaurant, however, their frozen meals in question are available in supermarkets. They are not served or distributed by CPK. Therefore, it may be unethical for CPK to have trans fat in a product bearing their name, but it is not illegal. What’s the deal with trans fat? They are bad news for your health. They increase your ‘bad’ cholesterol and decrease your ‘good’ cholesterol. Over time, this promotes heart disease. Trans fat occurs naturally in trace amounts in dairy and meat. However, these are not the foods to avoid. Many processed foods (store bought and packaged cakes, pastries, cookies, crackers etc and deep fried foods) contain trans fat that are not naturally occurring. Instead are added to enhance taste and increase shelf life. Through a process called hydrogenation, liquid fats are turned solid to make them more stable. When added to foods, they increase the time packaged foods can sit around without spoiling: extending their shelf life. If you live in the US, like this woman, you can simply check the ingredients list for the presence of hydrogenated or partially hydrogenated oils (see figure 1). Trans fats are regulated (or not) to varying degrees globally. Denmark became the first country, in 2003, to pass laws regulating the sale of foods containing trans fat. In 2008, Switzerland followed Denmark’s path. Australia is yet to legislate on the issue, although fast food outlets were ‘asked’ to reduce their use of trans fats. Australian ingredient lists are not required to list hydrogenation of oils, nor is it mandatory to list trans fats on the Nutrition Information Panel (Figure 2). In 2003, the Food and Drug Administration (FDA) in the USA began requiring trans fat labeling on the Nutrition Facts Panel of foods. However, if there is <0.5g of trans fat ‘per serve’ it can be listed as 0g, but that’s another article (and it’s on the radar). What does it boil down to? Take an extra minute to glance at the ingredients list and the nutrition panel… it might save you the hassle of filing a $5M lawsuit. There’s nothing wrong with indulging in some store bought pizza every now and then, but it’s a good idea to put less of it in your pie hole.